In the early 1990s, students formed the first Multicultural Student Fellowship at Westmont. Jane Higa, vice president for student life, encouraged and advised the group, but the impetus came from students. Attending a predominantly white college presented a range of issues for them, and they banded together for mutual support. Overcoming challenges has become a habit with this group. A decade later, many of them have earned graduate degrees, and they work in demanding professions. 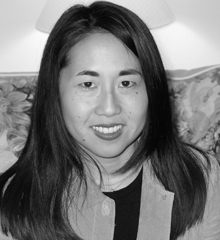 Anne Chen Atwood ’95 planned to become a teacher and majored in liberal studies at Westmont. “Kathy Sochel and Jane Higa were both wonderful mentors for me,” she says. She earned a teaching credential with an emphasis in cross-cultural, language and academic development through the Muir Alternative Teacher Education Program at San Francisco State. During the morning, she taught at John Muir Elementary School and attended classes there in the afternoon. While learning about teaching in an urban school, she actually had an impact on students there. She then taught at two San Francisco schools, including one in the Mission District, before moving to San Antonio where she got certified in early childhood and elementary education. After a variety of teaching jobs in Texas, where she lived with her husband, Ted, she left the profession to raise her daughter. 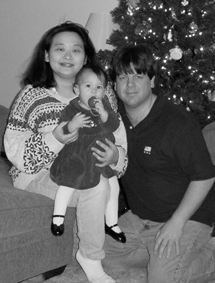 The Atwoods moved to Omaha, Neb., in August, where Ted works at Offut Air Force Base for Zel Technologies. “I’m a full-time, stay-at-home mom and work my Mary Kay business part-time,” she says. She will continue her dissertation research and hopes to work on documentaries about African-American ministers to gain broader exposure for their work. She is also interested in contemporary African-American religion. The summer after her junior year, Jamece was one of 20 people selected for a six-week program at Boston University that encouraged students of color to go to graduate school. “I enjoyed being in a scholarly community and it inspired me to get a Ph.D.,” she says. 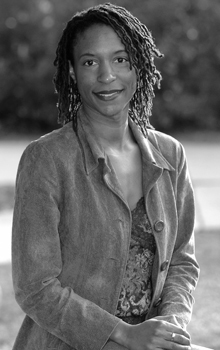 Toya Cooper ’93 wanted to get a good education at a small, Christian college. When she learned about Westmont from high school counselors and the college’s admissions staff, it seemed like the right place. “I wouldn’t trade my college years for anything,” she says. “I met my closest friends and got a great education.” But her experience was bittersweet. 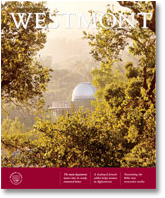 “Westmont has not yet reached a critical mass of students of color and the varying viewpoints, experiences and expectations they bring,” she says. Toya majored in political science because she enjoyed politics and planned to go to law school. “I have always had a commitment to justice. It seemed to me that people who knew the law and how to work it were the ones who brought about justice,” she says. As a student at Willamette University Law School, she clerked in the juvenile division of the district attorney’s office to become an advocate for children. But the job called for a certain emotional distance from tough issues. Since she didn’t want to go untouched by what she saw, she changed her plans. After she passed the bar exam, Toya explored career options and submitted several job applications, listing Jane Higa as a reference. When Jane started getting calls, she contacted Toya. “How would you like to work at Westmont?” she asked. Toya returned to campus as special assistant to the president for legal affairs and special assistant to the provost for diversity. 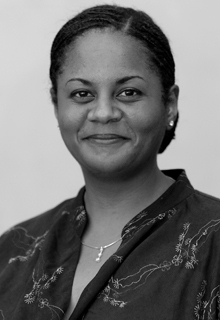 She provides advice on a variety of legal issues and works with the provost and Intercultural Programs. 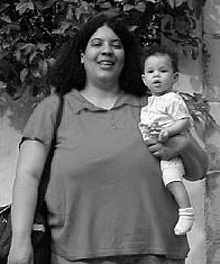 Michelle Mayes ’94 earned a degree in social science from Westmont and went to graduate school at the University of Illinois, where she completed a master’s degree in library and information sciences. She settled in Chicago and found a job as an information specialist for Citadel Investment Group, a financial services firm. Michelle has been deeply involved in her church, singing in the choir, leading special services and serving on the worship committee. Chosen to participate in the National Council of Churches of Christ Young Adult Ministry Team, she looked for ways to inspire young adults to stay in the church, take leadership positions and work from within to affect change. “Now that I’m older, I help out when requested by giving talks and participating on panels about young adult ministry within the Episcopal Church, such as our national Christian Ministry and Education Conference,” she says. When she passes the bar exam, Dominique Ruiz Quevedo ’93 plans to work in public interest law. She graduated from Loyola Law School in 2003. Attracted first to social work, Dominique earned a master’s degree in social welfare from UC Los Angeles. She got a job with the L.A. Department of Children and Family Services, where she managed a sizeable caseload. “The work was challenging, but I loved helping kids, who are some of the most resilient folks on the planet,” she says. She applied to a special program at Loyola Law School and received a full scholarship to study public interest law. “I worked my tail off for three years and made International & Comparative Law Review,” she says. “I couldn’t have done it without the Lord and the support of my amazing family. I am particularly thankful for my husband, parents and grandma.” Her husband, Ralph, teaches high school forensics in Los Angeles. 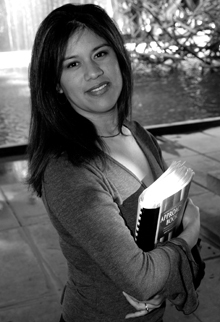 Diana went to Seattle University School of Law and interned with the Northwest Justice Project, which provides free civil legal services to the poor. She has been with them ever since and now represents victims of domestic violence in family law cases and welfare applicants and recipients in public benefit hearings. 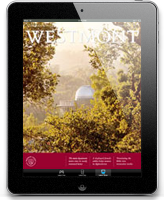 “One of the best things about Westmont was the friendships I made,” she says. “I do keep in close touch with my college friends. The friends I met at Westmont are the friends who remain a constant in my life today.” She also benefited from participating in the Europe Semester and the Urban program.